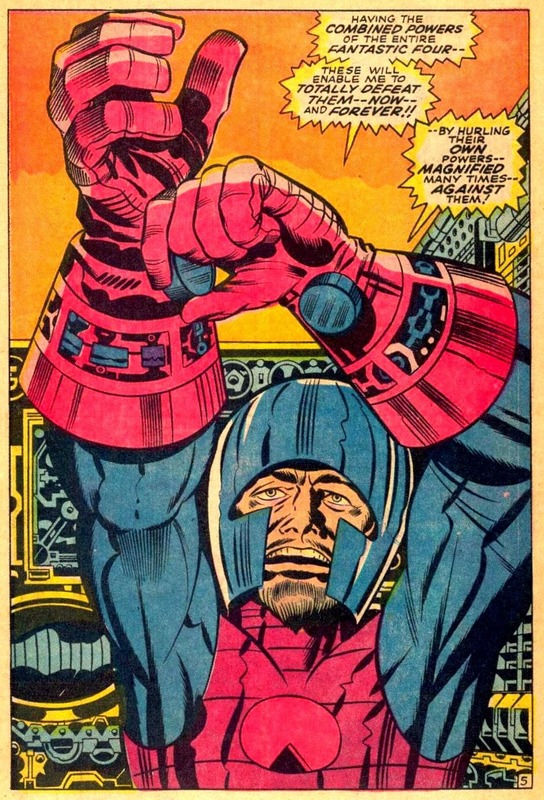 Marvel's line of books and stable of artists had expanded to such a degree that the evidence points to Lee giving one sentence plot assignments to Kirby suggesting single issue grudge match fights for the issues of FANTASTIC FOUR and CAPTAIN AMERICA that went on sale in October 1968. “Some artists, of course, need a more detailed plot than others. 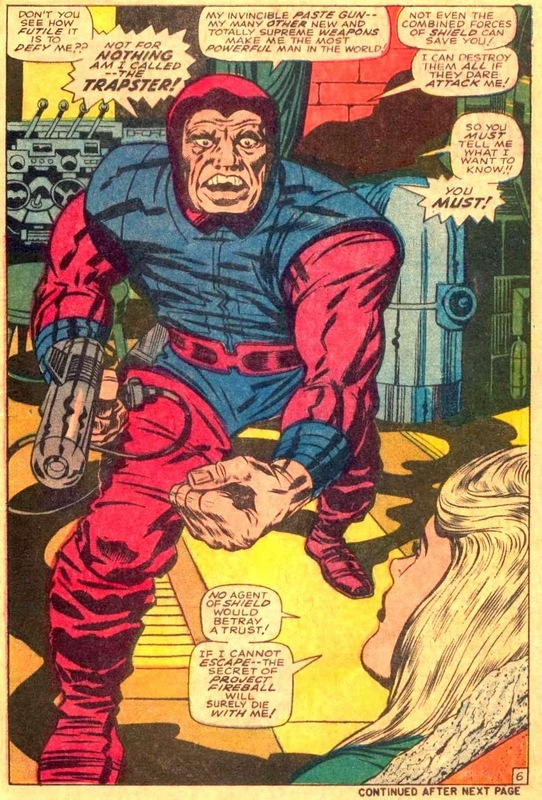 Some artists, such as Jack Kirby, need no plot at all. I mean I’ll just say to Jack, ‘Let’s make the next villain be Dr. Doom’… "